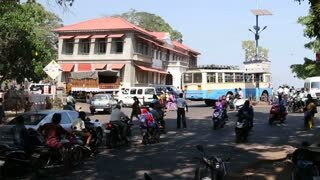 Vehicles driving down the busy road in Goa. 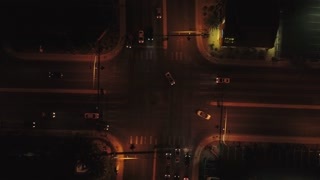 Vehicles driving down the busy road in different directions, timelapse. 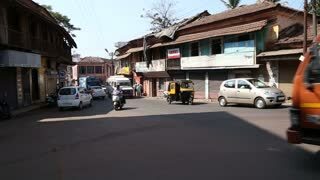 View on the side street, from busy road in Goa. GOA, INDIA - 27 JANUARY 2015: Vehicles driving down the busy road in Goa. 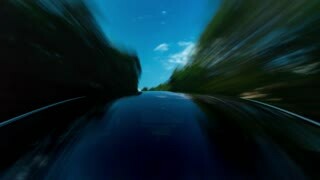 Vehicles driving down the busy road in Goa in different directions. 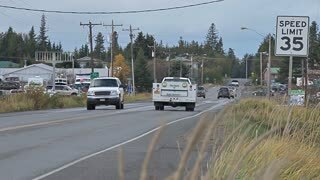 CLOSE UP: Motorcycles and other vehicles drive down the busy asphalt road.